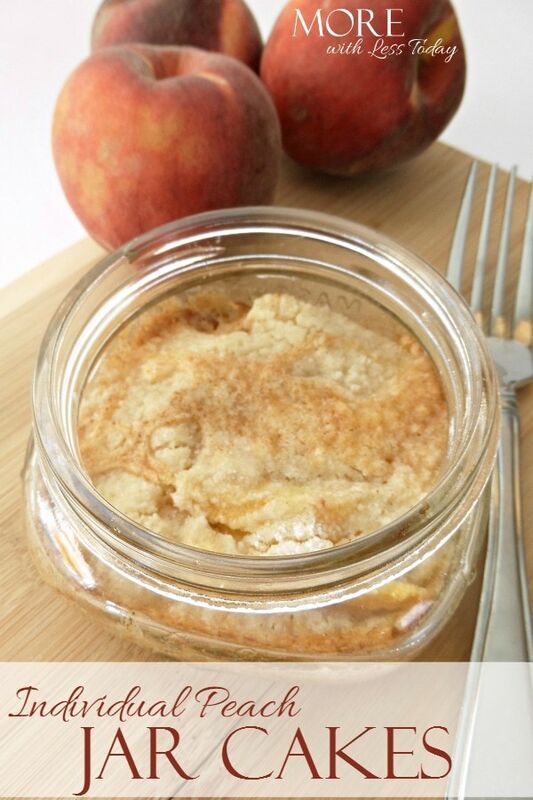 These Individual Peach Jar Cakes, Easy Mason Jar Desserts will surprise and delight everyone! Peaches are one of my favorites flavors and I absolutely love to bake with them. You can serve these all year long, just look for frozen peaches when the fresh ones are out of season. Some time ago we showed you how to make a Blueberry Dump Cake and this recipe is basically the same. Rather than using fresh berries you’ll use sliced peaches. They are like mini peach cobblers! Rinse the peaches and remove skin. Slice into small wedges. Place approximately 1/2 cup of peaches in the bottom of each mason jar. You’ll only need about half of the cake mix. The other half can be saved for making these little cakes another day. Sprinkle the cake mix over the peaches. Gently tap the jar to help the cake mix settle in between the berries. Melt the butter in the microwave and drizzle it over the cake mix. It does not have to be completely covered with butter. Place all of the mason jars on a cookie sheet and place in the preheated oven. Bake for 35-45 minutes or until golden brown and bubbly. Remove cakes from the oven and let stand for 10-15 minutes before serving. Serve in the mini mason jars. Top with whipped topping or ice cream if desired! There are so many great uses for mason jars, from the kitchen to the craft room and bathroom. 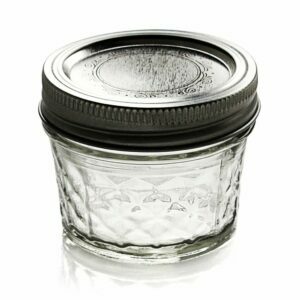 Here is a great price to get these Mini Mason Jars, (set of 12) delivered right to your door from Amazon.com.